Tonbruket live on stage is an experience you will never forget: The superb concert recording „Live Salvation" captures the band’s fluidity as it moves from lulling and sensitive folk through playful and hip jazz, and onwards and outwards to ferocious full-on rock, casting the Swedish quartet in a different light from its award-winning studio recordings. The dovetailing and the interaction between the musicians are immaculate. If no single band member appears to stand out as a soloist, it is because they have a way of all soloing together at the same time. "The team is the star," wrote the Esslinger Zeitung's critic in a highly enthusiastic review of the Tonbruket concert at Jazzclub Bix in Stuttgart which is now presented on this CD. After nearly a full decade together, it is now apposite to look back and consider all that Tonbruket have achieved. They have made four highly acclaimed studio albums on ACT, each of which received a Swedish Grammy. They have also performed countless tours, and always with the same line-up, which is never something that should be taken for granted. 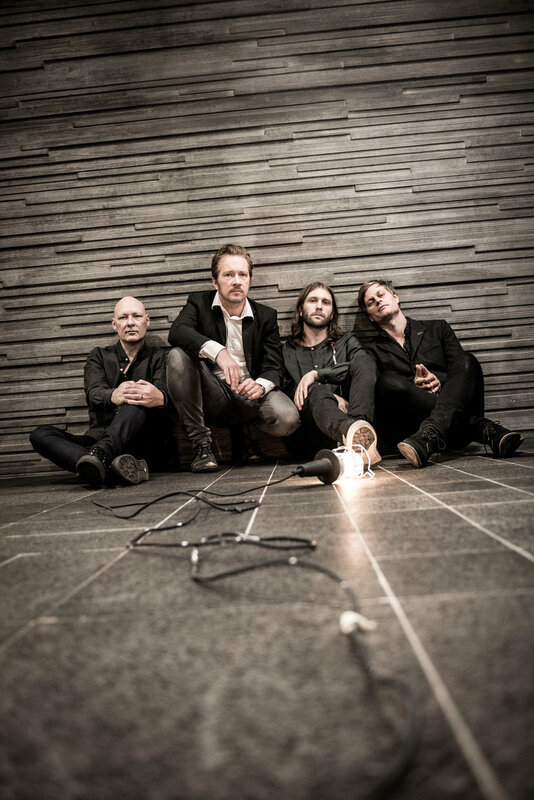 It means that Dan Berglund, Johan Lindström, Martin Hederos and Andreas Werliin have grown together into a unit that can groove like a perfectly-oiled machine (Tonbruket in English means ‘sound factory’) and yet can also defy expectations with their poetic lightness. “Salvation”. The album title evokes spiritual healing. These four Swedes don't just play because they always have, not just because they lived it large as teenagers in punk bands, nor because they studied music. They perform because it is their be-all and end-all, because their physical and mental health depends on it. The formation of the band in 2009 by Dan Berglund and Johan Lindström was preceded by a traumatic experience: the sudden death of the man who had been Berglund's closest musical colleague, pianist Esbjörn Svensson. That tragic event on June 14, 2008 brought his trio e.s.t.’s spectacular success story to an abrupt halt. Anyone who has ever experienced a Tonbruket concert will have an idea of what this album has in store. The songs tend to be much longer than the precisely worked studio versions. There is time for solos – but they serve the tune in a way that they never feel like solos. The listener at a Tonbruket concert can relax, close their eyes, surrender completely to wondrously dreamy sounds...only to be subjected to a merciless onslaught. Is it “progressive?” It’s more than that: avant-garde folk meeting psychedelic jazz and progressive rock. "The way the musicians interweave acoustic and electrical instruments is a particularly fine craft," wrote the German magazine Stern. 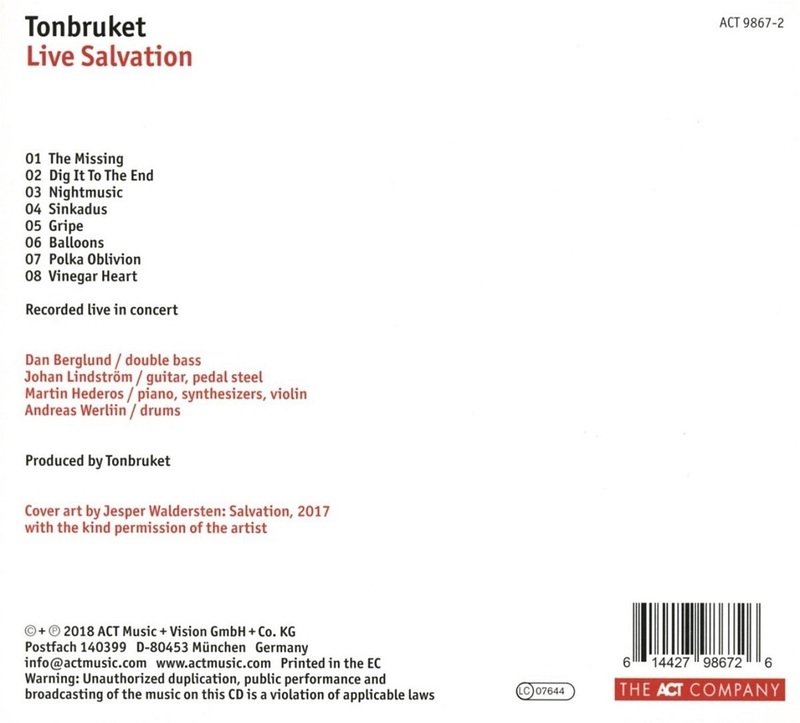 Tonbruket played music from their last three albums in Stuttgart, and all eight songs on the album have a special, added, live dimension about them. "Dig It To The End" has a deep, earthy groove, to which Martin Hederos’ swinging honky-tonk piano lends an unexpected lightness. "Nightmusic", at twelve minutes, is almost twice as long as before. 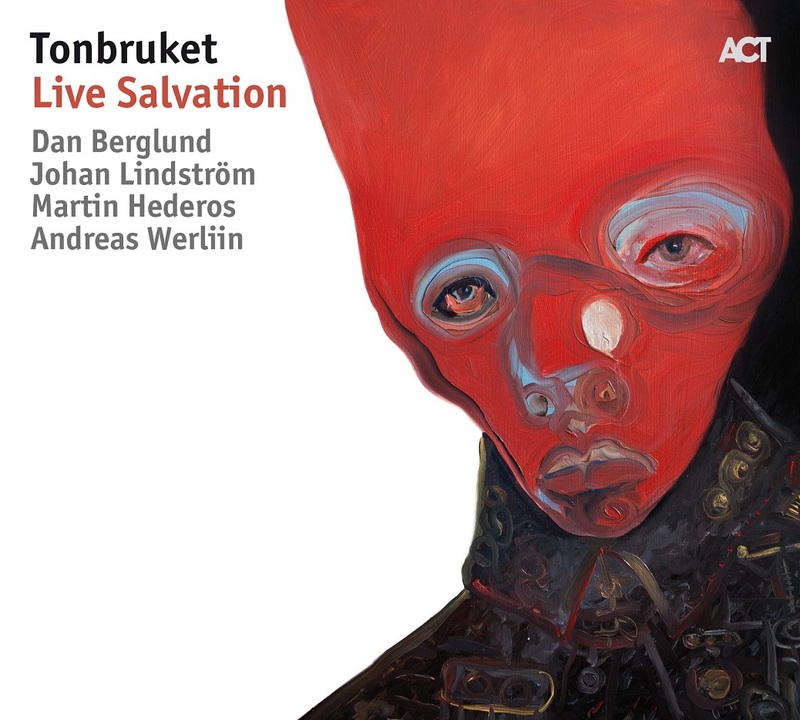 In its long keyboard passages Tonbruket show a Pink Floyd-like playfulness, which then in turn leads to bass solos by band founder Dan Berglund, shadowed by the ghostly rustling percussion of Andreas Werliins. To end the album, the 14-minute “Vinegar Heart” offers a fabulous trip, leading from the abyss up into the light and the heights – and back down again. What begins with dub noise moments, turns into a gentle journey through the Appalachians with the howling pedal steel guitar of Johan Lindström. The Kölnischer Rundschau’s reviewer once summed it all up rather neatly :"An adventure trip through the past, present and future. It fits in no category – and it’s fun."